Italian Style is the key word behind the success of Azimut|Benetti Group, which is once again the world’s top builder of yachts measuring over 24 meters this year, according to the Global Order Book 2018, the international ranking of the 20 top boat builders published recently by prestigious magazine Boat International. Over and above the extraordinary numbers 2840 m of Azimut Yachts and Benetti branded yachts and a remarkable 77 active projects the Italian shipbuilder confirms its natural leadership and excellence, built on strategic choices that have always proved, with passing time, to be the right ones. A brilliant mix of creativity and pragmatism has seen the Group tackle an evolving business and market scenario, without affecting its commitment to three key paradigms: offering the best innovative technical solutions combined with the creative flair of designers and artisans; maintaining ownership within the family of founder Paolo Vitelli; and striving constantly to innovate with the creation of new trends and product categories. “For us, Italian Style isn’t just a question of taste, but more an approach to work”, comments Giovanna Vitelli, Group Vice President, continuing: “We are proud to have achieved such a prestigious milestone for the 18th time running and proud to be an expression of that successful Italian entrepreneurial spirit which is appreciated the world over. It is a business culture nurtured by a set of essential assets, including ongoing reinvestment of profits to fuel growth, respect for the company’s people and partners, and the possibility of working with a medium to long-term vision of the business.” “Such long-lasting success can only spring from consistency and continuity,” adds Paolo Vitelli, Group President and founder, “fed by ongoing work to develop and improve products and production processes, by project excellence, and by the industrial and financial soundness of our shipyards.” The latest frontiers of the Group’s ability to innovate include series production with the extensive use of carbon fiber, as well as the technical partnership with Rolls Royce to develop a cutting-edge propulsion system, with important repercussions in terms of a 15-20% reduction in fuel consumption and greater onboard comfort. Azimut|Benetti closed 2016-2017 reporting value of production standing at €710 million, continuing the growth trend of the last five years (+20% from 2011-2012 to 2016-2017). The Global Order Book confirms its authoritative standing, providing an accurate annual performance report and publishing information on actual orders for yachts measuring 80 feet in length and over. On Saturday 2 December, Beneteau and Peugeot unveiled the result of a unique collaboration at the opening of the Nautic boat show in Paris. Global leaders in their respective industries, the two brands have combined their innovative technological know-how and forward thinking to create a pioneering steering station. The Sea Drive Concept promises to be a fantastic experience for visitors and will offer new perspectives on the future of motorboat driving. Try it out at the biggest boat show in France. While certain cars now boast lines and luxury inspired by the world of yachting, boats, on the other hand, are adopting ergonomic solutions and designs from the car industry. Resulting from a highly productive exchange between these two worlds, the demonstrator invented and designed by Peugeot Design Lab integrates Ship Control connected technology, recently developed by Beneteau, in Peugeot’s i-Cockpit. This intuitive connected steering station, at the crossroads of the car and motorboat industries, offers visitors an opportunity to enjoy a unique immersive experience and to gain a glimpse of the future. Beneteau is pleased to announce the appointment of Jean Francois LAIR as Director of Sales Americas. In his role, Jean Francois will be responsible for the Beneteau business in Canada and the Americas. He will be based in Annapolis. Jean Francois has a long experience within the company and brings knowledge of different cultures and markets. After spending 10 years with Sunsail, Jean Francois has run export sales for more than a decade at Beneteau. "I am very glad Jean Francois will lead our business in the Americas" says Luca Brancaleon, General Manager of Beneteau. "His experience, attitude and product knwoledge will be a great contribution to our growing presence on the american territory." After the award "Shipyard of the year", Ferretti Group consolidates its leadership by closing 2017 with extraordinary results. The number of yachts built by the Group's seven brands will reach, as of December 31, 159 units, an increase of 7.5% compared to the 148 boats built in 2016, which was already a record year with a 23% growth compared to 2015. The production value for the current year will be over 600 million euros. These figures, well above the industry's global performance levels, confirm the value of an industrial and commercial strategy that envisaged the launch of 24 new models in three years, with an investment over € 50 million in research and development by the shareholders, Weichai Group and the Ferrari family. The new Global Order Book for 2018 - the ranking of the 20 top yacht builders over 24 metres published by the UK edition of the prestigious “Boat International” magazine - confirms yet again Ferretti Group’s importance in the industry. In particular, the Group ranked first for number of projects sold or under construction, with as many as 87 under the Ferretti Yachts, Pershing, Riva, Custom Line and CRN brands, 22,5% more compared to last year’s 71, and ranked second overall with 2,762 metres (9,061 feet) of super and mega yachts under construction. Mr Alberto Galassi, Chief Executive Officer of Ferretti Group, commented: "Even numbers bear an irrevocable beauty, and those of the Global Order Book tell an amazing story of Ferretti Group’s splendid growth, demonstrated also by the revenues and profits we achieved. Not only have we climbed the ranking, with about 2762 meters of boats over 24 meters sold and under construction, but we are world leaders by number of projects: 87. This would not have been possible without the investments and commitment in research and development, for each brand and for every hull size. These projects have always been realized on schedule and altogether stand for 159 yachts of excellence. Our strategy focuses on exclusivity and innovation, and the industrial and financial reliability of Ferretti Group." Moonen Shipyards in the Netherlands has signed the contact for a significant refit project which is due to start at the beginning of December. Originally launched in 2007, the 29-metre fast displacement superyacht Ciao (ex. Nilo) is back at our yard for a range of technical and aesthetic upgrades. The main goal of the refit project is to install new CMC zero-speed stabilisers as Ciao shifts from hydraulic stabilisation to electrical. Moonen’s specialised engineers will also perform extensive maintenance and service on the propulsion drive, which includes a controllable pitch propeller system. In addition, work on the underwater body will be carried out such as replacing the anodes and giving her bottom two fresh layers of antifouling. “We’re delighted that the owner has chosen to have Ciao sail from the Mediterranean to Holland especially for this refit,” says Service Manager Eckly Hendriks. “Moonen has a strong image of craftsmanship and the owner is really keen on detail and perfection. 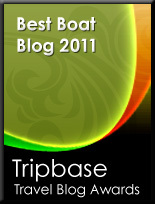 As well as helping retain resale value, we also know all the ins and outs of the vessel. And the fact that Moonen has the option to temporarily import the vessel into the Netherlands was also beneficial to the owner.” The project will require many different types of craftsmanship from carpenters to mechanical engineers. Moonen’s strong relationships with its subcontractors is also an asset, including in this case the manufacturers of the stabilisers (CMC in Italy) and the CPP system (Servogear from Norway). The refit will take around eight weeks, after which Ciao will spend the rest of the winter in Moonen’s acclimatised hall until the new season begins. Her captain will also stay close to his charge with all the facilities at hand to do his job. The entry of Palumbo Group into Mondomarine, the historic shipyard of Savona for months in a crisis situation for which resolution has now reached the judicial liquidation phase, is official. With the lease of the Savona shipyard only for a period of six months, Palumbo Group will guarantee the restart of the construction sites, the immediate reintegration of nine employees and the objective of proceeding subsequently, following the desired final acquisition, the absorption of a large number of employees of nautical trade from Savona. After the recent acquisition of the ISA Yachts shipyard in Ancona, which soon became one of the Group's main superyacht production sites and is now in full operation, Mondomarine represents a new, important step for Palumbo in its strategic development plan, its own network of shipyards in the Mediterranean and, of course, the division dedicated to the construction of superyachts. 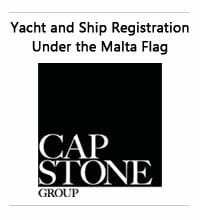 Palumbo Superyachts Division, with the Columbus Yachts and Isa Yachts brands respectively oriented to the realization of custom and semi-custom yachts, is, in fact, a constantly growing company that draws strength from fifty years of experience in the Group's ship refit sector, from the passion , and its indisputable financial solidity. The set of suitcases and accessories in Pelle Frau “Meteorite” leather, created exclusively for Pershing, kicks off the initiatives to mark the tenth anniversary of a partnership that was also celebrated at the Cannes Yachting Festival 2017 with Pershing 9X. The fleet's new coupé, with a wealth of furnishings by Poltrona Frau, features a futuristic helm station co-designed by the two companies. In 2007, the renowned Italian furniture and interior design brand Poltrona Frau made its déebut in luxury yachting as a partner of Pershing. The then latest addition to the fleet, Pershing 72, amazed enthusiasts with its fabulous interior design and a new, futuristic helm seat with grey leather upholstery. The entire project was the product of the collaboration between the technicians of the two companies, both located in the heart of the Marche region, in Mondolfo and Tolentino. It was the beginning of an unprecedented partnership not only in the yachting world but also in the Italian industry as a whole. As everyone knows, sailing a Pershing is more like flying a fighter jet or driving a Formula 1 car, so why shouldn’t the level of comfort in the helm station be just as extreme? Over the last 10 years, the two brands have developed a unique partnership, skilfully combining Pershing performance with Poltrona Frau style. This highly successful pairing reached its 10-year milestone in 2017, and to celebrate their long-standing and fruitful collaboration, Pershing and Poltrona Frau introduced some major new additions to their range at the latest edition of the Cannes Yachting Festival 2017, one of the world's leading yachting events. The show saw the unveiling of the new Owner Set for Pershing yacht owners, a magnificent collection of one-of-a-kind suitcases, bags, trolley bags and other accessories made entirely in Pelle Frau “Meteorite” leather and created exclusively for Pershing. This stylish range of accessories was crafted by Poltrona Frau using top quality natural grain leather and designed with the idea that these unique accessories would express some of the brand's key elements: speed, dynamism and innovation. Pelle Frau “Meteorite” leather, featuring a mix of glossy and dull finishes and enriched by nuance mat tones in the grooves of the grain, has been hand polished on the grain surface to create the shining effect of pyrite (a stone with distinctive metallic crystals that change colour when exposed to the light). With their sophisticated elegance, these precious objects tell the story of the brand and speak to the taste of those who own them. The Cannes Yachting Festival also set the stage for the launch of another creation born from this ten-year partnership, where the international début of the fleet's new maxi coupé Pershing 9X also provided the opportunity to unveil before enthusiasts the stunning helm station of the fleet's latest yacht. The entire helm station of this coupé featuring aggressive lines and outstanding comfort and, as always, created by the yacht designer Fulvio De Simoni in partnership with Ferretti Group’s Product Strategy Committee and its Engineering Department, has been co-designed by the Pershing and Poltrona Frau teams in collaboration with De Simoni himself, all working together to create a new masterpiece that has already captivated the yachting market. This alliance, born ten years ago, has been extended to much of the fleet over the years, including Pershing 72, Pershing 64, Pershing 80, Pershing 92, Pershing 108, the legendary Pershing 115 and the more recent Pershing 74 and Pershing 82. The joint venture has made such an impact on the yachting and Italian design worlds that it has even earned a place in a museum. In the Poltrona Frau Museum in Tolentino (Macerata), home to the company's headquarters, one of the seats made for the Pershing 72 is on display as a genuine example of industrial art. And in the “Interiors in Motion” section of the Poltrona Frau website it is possible to view a rich gallery of the products the two companies have co-designed from 2007 to the present day. All eyes are now on the future initiatives planned by the two companies for these 10th anniversary celebrations, and the new and ambitious projects to come. World-renowned British brands Naim Audio and Princess Yachts have partnered together to deliver a revolutionary audio solution, rewriting the rulebook on acoustics for the luxury marine sector. Naim have been meticulously designing and hand-building their audio systems for over 44 years from Salisbury in Wiltshire, delivering a deeper, more immersive sonic experience. This exclusive collaboration aligns the companies' shared values of expert engineering and craftsmanship, elegant design and the best in British manufacturing to deliver a class-leading audio experience on-board a luxury yacht. At the heart of the custom-integrated Naim for Princess audio system is the award-winning range of Uniti all-in-one players. Featuring for the first time on the all-new S Class flagship Princess S78, a yacht that is distinctly cool and sophisticated and capable of propelling you to an exhilarating 39 knots. The compact Uniti Atom, fitted as standard in the yacht's sportbridge, saloon, cockpit and master stateroom, provides a perfectly synchronised multi-zone music experience. There is also a Premium upgrade encompassing a Uniti Star in the saloon, uprated speakers and additional zones in the foredeck, guest and crew accommodation areas. Those on board the S78 can relax and control the music and multi-room functionality on a smartphone or tablet using Naim Audio's dedicated iOS and Android app. 'Achieving seaworthy audiophile-grade music playback presented new challenges to both teams; new benchmarks in acoustic technology, engineering craftsmanship and expert in-house testing have resulted in a sonic performance befitting a Princess yacht, while matching the high standards set by both companies,' said Trevor Wilson, Managing Director, Naim Audio. Launched this year and drawing on 44 years of heritage and expertise in audio engineering, Naim Audio's Uniti range boasts a comprehensive feature-set and rich acoustics, delivering a powerful sound full of detail, clarity and musicality. Designed to easily connect to a Wi-Fi network, the listener can enjoy a world of music from any source. Wirelessly stream downloaded music in high-resolution from a PC, Mac, NAS drive via UPnP or browse and play millions of songs through popular streaming services Spotify Connect and TIDAL. Support for Apple AirPlay allows streaming of music from Apple iOS devices such as iPhone and iPad, similarly built-in Google Chromecast plays music directly from compatible Android devices and more than 300 audio apps. Internet Radio provides access to thousands of radio stations, while support for Bluetooth aptX HD enables high-quality and wireless streaming from compatible devices such as a smartphone or tablet. 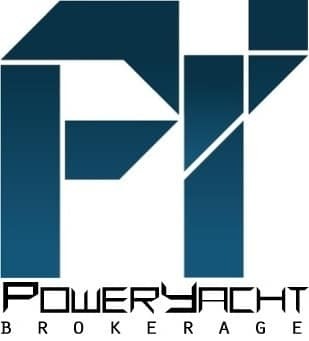 'The official launch of what will be the most exciting audio collaboration in the marine industry will take place at Düsseldorf Boat Show, and we invite visitors, not only audiophiles, to the Princess display to celebrate this remarkable development,' said Kiran Haslam, Marketing Director, Princess Yachts. 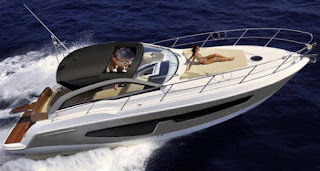 The Riva legend wins over new enthusiasts every day, including on the web. Indeed, it is for its brilliant management of social media channels that Riva has been awarded the prestigious Gold Trophy in the category “Cars and Yachts” at the “2017 World Luxury Award” in Monte Carlo. The award attests to the innovative energy of this legendary shipyard and its skill at successfully overseeing every aspect of its communications. The over 300,000 followers that enliven its Facebook, Instagram, Twitter, YouTube and Google+ profiles only serve as further proof of Riva’s supremacy in this sphere. The “World Luxury Award”, a guarantee of expertise and quality, is an independent forum with a dual objective: firstly, to improve standards of creative excellence in the sectors of advertising, design and multimedia and, secondly, to serve as a global Think Tank to develop state-of-the-art technologies in the luxury goods sector. Riva’s accounts, managed in collaboration with the Arachno agency, a partner of the Ferretti Group, were judged to be the best from among all the social media channels of all the major players in the luxury sector. Its broad user base, original tone of voice, high rate of engagement and the quality of its content have allowed Riva to surpass its competitors. Its wide range of subject matter is designed to be appealing to a diverse audience, dealing with topics from new products to the iconic models that have played an important role in making the story of “Made in Italy” famous throughout the world, and from important events to the latest news about the Riva Brand Experience. The entire 580-strong team at Riviera, Australia's most awarded luxury motor yacht builder, celebrated a momentous 2017 with a Christmas party today at the company's Gold Coast headquarters. Riviera Chairman and owner Rodney Longhurst thanked the team, saying the standout achievement of the year was the resoundingly successful launch and World Premiere of the Sports Motor Yacht collection, both the 68 and 72 models. He said the launch was greeted with admiration by discerning owners and motor yachting enthusiasts as well as with glowing reviews by the worldwide boating media. "You should all be proud of this extraordinary achievement," said Mr Longhurst. "The quality demonstrated in the new Sports Motor Yacht collection is reflected in the work that every individual does here every day. "You can also be proud of the continued growth in the worldwide Riviera Family of luxury motor yacht owners. "More than half of all our production in the past year has been exported and we are delighted that almost 100 motor yachting aficionados around the world have joined the Riviera family this year. "This is a magnificent achievement and a great reflection on our entire team and on the dedicated worldwide dealer network we have developed." Mr Longhurst said that Riviera will enhance first-class owner care through its active program of boating education, cruising in company and social events worldwide in 2018. “In partnership with our dealers we look forward to creating many more memorable cruising experiences for the Riviera Family throughout 2018,” he said. Riviera Sports Motor Yacht World Premiere - The Sydney International Boat Show was the venue for the World Premiere of the 68 Sports Motor Yacht and for a red-carpet celebration of the Riviera lifestyle for more than 400 guests. In September the 68 Sports Motor Yacht travelled to make her European Premiere at the Cannes Yachting Festival alongside the 4800 Sport Yacht. The Sports Motor Yacht went on to star at the Genoa Boat Show in Italy and then at the Barcelona Boat Show in Spain. Festival of Boating - In March, Riviera staged the largest-ever Festival of Boating at the company's headquarters on Queensland's Gold Coast. The event included the Queensland Premiere of the 4800 Sport Yacht and saw a record number of educational workshops and tutorials eagerly embraced by visitors over the three-day event. International boat shows - Northern hemisphere boat show season began for Riviera with a stunning eight-model display at the Miami International Boat Show, including the show Premieres of the 4800 Sport Yacht and 575 SUV. In Dubai, Riviera Premiered its 6000 Sport Yacht to the middle east. Riviera continued to showcase its world-class motor yachts in boat show displays across the United States, in Europe, Asia and South Africa as well as throughout Australia and New Zealand. Visitors to some 26 shows worldwide were given the opportunity to step aboard and experience the exclusive luxury that is Riviera. The show year culminated for Riviera with a jubilant eight-model display at the world's largest boat show, the Fort Lauderdale International Boat Show. New model development - The company announced development of the magnificent new Belize 66 motor yacht during the Festival of Boating in March and work began immediately with a schedule for its World Premiere in 2018. At the Sydney International Boat Show, Riviera announced the development of its first under-forty-foot motor yacht in nearly a decade the 395 SUV model scheduled for her World Premiere in 2018. International awards - Recognition of the elite calibre of Australia's Riviera continued in 2017 with the Riviera 4800 Sport Yacht receiving the "Best Sportcruiser (above 45 feet)" at the prestigious Asia Boating Awards. Commitment to training and human development - The year began with a strong increase in the company's apprentice intake, up to 74, reflecting an ongoing commitment to training, creating a new generation of master craftspeople. Riviera continues to lead marine industry training and enhance the lives of talented boat builders, marine electricians and carpenters, upholsterers and designers. Riviera owners around Australia came together in the lead-up to Christmas to stage a series of spectacular celebration mega raft-ups and share the real joy of being a part of the Riviera family. On Queensland’s Gold Coast the team at R Marine Jones hosted 26 Rivieras to create a spectacular horseshoe raft-up. Whilst Martha Cove on Melbourne’s Port Phillip Bay was the site for another mega raft-up of 24 Riviera motor yachts to welcome Riviera’s magnificent new 72 Sports Motor Yacht to her new home hosted by R Marine Jacksons. In Western Australia, Riviera and Belize owners gathered in enthusiastic numbers to set a new Riviera world record on Perth’s Swan River with a very impressive 48 Riviera and Belize motor yachts all safely rafted up. Festival of Boating - The company has also announced that the 2018 Festival of Boating will be held from May 24 to 27 in parallel with an inspiring display at the Sanctuary Cove International Boat Show. “We are proud to return to Sanctuary Cove next year and May 2018 will certainly provide great stimulus for motor yacht devotees to visit the Gold Coast,” said Mr Longhurst. "The Festival of Boating provides Riviera and Belize owners with a wide choice of theoretical and hands–on boating education workshops as well as a signature social event on the Saturday evening. "Everyone at Riviera is looking forward with great anticipation to an exciting and rewarding 2018, with the Premieres of our flagship Belize 66 and our sporty and adventurous new Riviera 395 SUV." Riviera owners around Australia came together in the lead-up to Christmas to stage a series of spectacular celebration mega raft-ups and share the real joy of being a part of the Riviera family. In Western Australia, Riviera and Belize owners heeded the call in huge and enthusiastic numbers to attempt a new Riviera world record at Matilda Bay on Perth's Swan River. Local Riviera and Belize Dealer R Marine Perth has hosted raft-ups for owners for the past 10 years. The 2016 raft-up created a Riviera world record of 43 motor yachts. By the time the raft-up was complete soon after midday, it was clear to everyone that they had created a new record in the world of Riviera - 48 Riviera and Belize motor yachts, all safely rafted up, ready for a fun-filled afternoon. On Queensland's Gold Coast Broadwater, the team at R Marine Jones hosted 26 Rivieras to create a spectacular horseshoe raft-up in a man-made bay called the Marine Stadium. Martha Cove on Melbourne's Port Phillip Bay was the site for a mega raft-up to welcome Riviera's magnificent new 72 Sports Motor Yacht to her new home. Hosted by Victoria's dedicated Riviera and Belize dealership R Marine Jacksons on a sparkling Saturday afternoon, the raft-up brought together 24 Riviera motor yachts for an afternoon of Riviera family fun and camaraderie on the bay outside the Hidden Harbour Marina on Victoria's Mornington Peninsula. Sunseeker International is delighted to announce that English World Cup legend, Sir Geoff Hurst, and BT Sport’s presenter, Jake Humphrey will be the company’s special guests at the London Boat Show on 10th January. Sir Geoff, best known for scoring the goals that helped to secure victory for England in the World Cup in 1966, will be opening the stand with founder Robert Braithwaite CBE DL and CEO of Sunseeker International, Phil Popham. Sir Geoff Hurst secured his unique place in sporting history when he became the first and only player to score a hat-trick in a World Cup final, a record that has stood for over 50 years. Knighted in 1998 and inducted into the English Football Hall of Fame in 2004, Sir Geoff holds a special place in the hearts of football fans and has become an iconic sporting figure across the world. Jake, an experienced and knowledgeable TV and radio broadcaster, will be Sunseeker’s official compère for the midday event. Currently the face of Premier League Football on BT Sport, Jake has been at the forefront of much of BBC Sport’s coverage for many national and international events. Sir Geoff commented: “I am absolutely delighted to be joining Sunseeker to celebrate the opening of their stand at the London Boat Show in January. Sunseeker is an iconic British company flying the British flag on a global stage with some magnificent products, it will be a real pleasure to help them launch what promises to be a really exciting 2018 for the brand.” The full display for the London Boat Show 2018 includes two show debuts, the 76 Yacht and the Predator 57 MKII. The 76 Yacht will also be the largest model displayed at the Show, and will appear alongside a stunning collection of luxury yachts starting from 52 feet. Van Der Valk new hall will allow for the construction of new yachts over 40 meters and with up to three decks. The steel framing of the construction was finished some time ago, the walls were recently completed, and doors have just been installed. 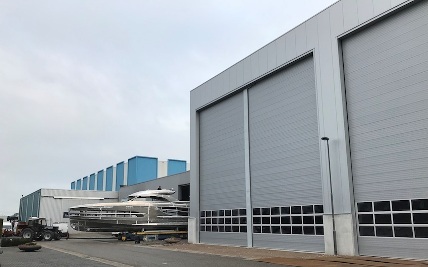 The new hall has already been integrated into Van Der Valk's production schedule: it will be used for three major projects in the coming months, including one refit. We plan to provide more information about the new hall at the upcoming boot Düsseldorf boat show, where we will also present concepts for two new raised pilothouse models which are currently on the drawing table. One of the most stunning launches of the past year was the fast displacement Anemeli. Showcasing the vision and ideas of a highly experienced owner, this 27-metre all-aluminium yacht also featured interior and exterior design by Guido de Groot and naval architecture by Jaron Ginton. Her stylish silver metallic colour hull has already won Anemeli many admirers, while her exceptionally spacious and well-equipped interior has been a pleasure to all who come aboard. The 23-metre Flybridge Valencia features an exterior we designed in-house, which includes a modern, curvaceous shape requested directly by the owner and a classical interior by Guido de Groot Design. Intended primarily to sail the Baltic region, she features lots of comfortable indoor as well as outdoor spaces. Also intended for the Baltic, the 26-metre Raised Pilothouse Forum has a folding mast that minimises her vertical clearance. She boasts an exterior by Guido de Groot and an interior by the owner’s own architect, providing a wealth of entertainment spaces and options. Another striking delivery in 2017 was a 25-metre oceangoing Explorer characterised by interior and exterior design by Guido de Groot Design and naval architecture by Ginton Naval Architects. This full-displacement yacht with aluminium hull provides a substantial range and resistance to the harshest conditions. Congratulations to Rob Desmond and his team on the Viking 48 Day Sea. Day Seabrought a boatful of energetic anglers to the Inaugural Old Bahama Bay Wahoo Charity Cup ready to fish. Angler Andi DeYoung was the Top Lady Angler with a 48-pounder which was also the heaviest fish of the tournament. Day Sea also claimed Top Boat. This two-day tournament is a not-for-profit event with all proceeds going to Leukaemia & Lymphoma NI. David and Lynne Henderson and the whole team on their Viking 60 Fragrant Harbor organized the tournament along with Old Bahama Bay Resort and Marina. For the past three years, Captain Skip Smith has been building the most-talked about tournament in the Bahamas, The Production vs. Custom Shootout. The 2017 Shootout was a huge success with Miss Victoria, a Viking 76, winning the tournament with four blues, five whites and a sailfish. During the event, 33 boats released 157 billfish in three days. Due to an overwhelming response for the 2018 Shootout, the event will become invitation-only for 2019. Any boat entered in 2018 will automatically receive an invite to be a part of the 2019 tournament. All new entries for 2019 will be put on a waiting list. The 2018 tournament is filling up fast so this is your last chance to grab one of the coveted spots. Held at the luxurious Abaco Beach Resort and Boat Harbour Marina, The Shootout has the best anglers, captains and crews. 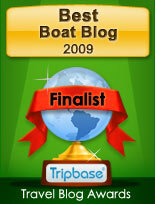 Add the age-old rivalry between production and custom boats and you have the fiercest competition of any tournament. Mike Walsh's Viking 62 De-Bait-Able took 2nd Place at the 22nd Annual Florida Classic fishing tournament. Captain K.J. Zeher went three for four on sailfish with anglers Nick Lucov, Brian Komer and Phil Sate each releasing a fish. This event is held out of Fort Lauderdale and benefits the Cystic Fibrosis Foundation. Zeelander are often seen as pieces of art, collectors’ items, especially since they are limited to only 30 pieces per model. Therefore, the connection between Art Basel and Zeelander is strong. Joining powers with the ‘My Yacht Group’ Zeelander ran a wonderful event with fine wine, caviar, cigars and the exalted company of Art Basel finest people. At the south coast of Phuket Thailand, Zeelander was present and proud sponsor of the Kata Rocks Super Yachts Rendezvous. Owners of supers yachts from all over the globe gathered at the wonderful event to connect and share their experiences. The Nordhavn 80 was born out of the demand for a boat that bridged the gap between the 76 and the 86 models. This new explorer super yacht is to be powered by twin 375hp John Deere engines, and will have a four staterooms and room for two crew interior. Optional lay-outs will include a captain’s cabin behind the bridge or an upper level owner’s suite behind the bridge in lieu of the sky lounge. The boat will feature a beautiful, functional layout and modern styling. Tooling is expected to complete in about six months at the South Coast factory, with N80#1 launching in 2019. Jeanneau's NC line continues to expand and reinventing itself and presents the new NC 33, entirely inscribed within the philosophy of these Northern climate targeted designed models, cleverly combining the strengths with the latest technological advances of the brand. This new Jeanneau NC 33 also features a hull design by Michael Peters. With no steps on the main deck, the interior layout meets the demands of the NC concept for an open yet enclosed when desired living area. Designed for life on the sea, the NC 33 is open to the exterior, with large windows carefully considered for comfortable, harmonious cruising. Entirely secure, this new NC 33 features wide, recessed side decks. The side door to the helm station facilitates movement around the boat. The Jeanneau NC 33 also features a side access gate, a new feature for this line with makes side berthing access easy. Yachting Developments from New Zealand presents its new World wide web showroom. Yachting Developments has a story that goes beyond and previous to building yachts which started when founder and managing director Ian Cook founds the company in 1990 to help Spain entry into the Americas cup. In 2002 Yachting Developments launches its first yacht a 22.6m cruiser racer sailing machine. Move the clock fifteen years later and Yachting Developments has launched nineteen custom yachts from eleven to 38 meters, most of which sailing yachts, excluding the 27.4m Satu and the just delivered 38.7m hull number 1015, both of which high tech composite build super sportfish. Yachting Developments new website takes you around with the following buttons; Home, Lookbook, Out Team, New Zealand, Blog, News, and Contact. Yachting Developments is also on social media with links at the bottom of page taking you to the Instagram, Twitter, and Facebook pages. 2017 has once more proven to be a really successful year for Baglietto, who, following the sale of a 46 Fast and a 54m all-aluminium displacement yacht for an American owner, is now announcing a new work order for a 55m steel and aluminium yacht, to be built for a European client. The hull no. 10225 of the La Spezia-based shipyard has been sold with the help of Cornelius Gerling from Edmiston, who is representing the owner. Designed by Francesco Paszkowski Design, this new 55 m vessel uses Baglietto’s traditional T-Line platform. The yacht is expected to be delivered during the 2019 season. Her soft and sleek lines reflect Baglietto’s traditional style, and, together with the lowered gunwales and side air vents, will embody the seagull brand’s unmistakable aesthetic features. The layout, conversely, has been extensively customized and includes six cabins. Features among many others will be a huge beach club area and a sundeck of 160 square meters. Further details are however to be kept confidential at this point. Besides this new 55m yacht, a 48m displacement craft and a 43m yacht in the Fast line are currently under construction at the La Spezia shipyard. Johnson present the 93, the largest of its yachts that features signature dual level vertical windows with half circle viewing capability. The Johnson 93 has many unique features that add enormously to the pleasure of ownership. The main deck level owners suite provides its occupants with a stunning wrap around view of their surroundings whilst providing a large and totally private space. This pocket super yacht wide beam provides a significant increase in internal volume over other vessels in its class. The Johnson 93 is also available in various different exterior and functional options dedicated to the American market from the fishing cockpit for both open flybridge and sky lounge versions. The Johnson 93 is powered by twin 1925hp Cat engines. This project from the Italian Benetti Sail Divison comes as a big surprise to the yachting public, as the Viareggio builder has build a name since its foundation in the eighties for building steel or alloy displacement yachts and super yachts over the twenty meter size. Designed by Acube also from Viareggio the 13.70m Benship 8 is understood to have come along as part of the new collaboration Benetti Sail Division has started with Shanghai Shipyard in 2015. Benship 8 indeed is to be build in Shanghai China and surprisingly for a boat of a thirteen meter size is to be build in alloy. Designers Acube went for a very standard traditional coupe sport cruiser type layout in this build, with a living on the hard top patio door fully enclosed main deck, and a galley plus two cabins served with two heads in the lower deck. The Benetti Sail Division 13.80m Benship 8 is to be powered by twin Volvo 435hp with IPS pod drives with estimated speeds allowing up to a max of 35 knots. Henriques adds another model series with the express fisherman hard top bridge model, a truly return to the roots of the sportfisherman class. Here Henriques adds a bridge on top of the hardtop enclosure of the 42 Express HT model. The bridge of Henrqiues 42 Express HTB accommodates the passionate fisherman with a better visibility all around. 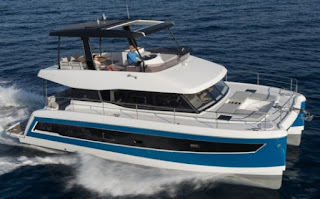 A captain will be able to steer his boat comfortably from the bridge, while his family is relaxing down below in the air-conditioned or heated hardtop. The Henriques 42 Express HTB can have a full canvas enclosure for the bridge, specifically for those chilly days out at sea. The Henriques Express HTB has the same interior lower deck layout of the other 42 Express and Express HT variants with a forward cabin, L-shaped dinette, galley, and shower head. Viking has been the pioneer in the design and development of the enclosed bridge for decades, and the latest example is its new 68 EB. Captains and owners appreciate being comfortably out of the weather in the climate-controlled command center of the enclosed bridge boats. The wraparound windshield provides excellent visibility in all directions. Viking enclosed bridges are large enough to hold a luxurious second salon. 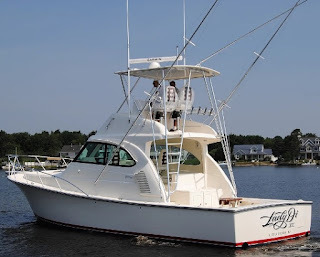 The enclosed bridge option is a big Viking trademark offered into its sportfishing boats from 62 to 92 feet and the three 75, 82 and 93 motor yachts. The 68 Enclosed Bridge will follow the introduction of the Viking 68 Convertible, an open bridge model in a Shimmering Blue that will make its world premiere at the Miami Yacht Show on February. The open and enclosed bridge models of the 68 Convertible share the same four-stateroom, four-head layout. Notice that the crew quarters are discretely located, accessed via a separate set of steps off the companionway. Airon Marine expands the AMX line by launching the new 34 model. The Amx 34 follows the 28 model as versatile sport cruiser largely focused for a day boat use but still with an interesting accommodation for a small family. The interior lower deck offers a five berth accommodation plan in the traditional layout of a convertible V-shaped dinette which turns into a double berth forward, and a tree single berths cabin at midships. Outside the Airon Amx 34 offers a versatile convertible layout with an aft dinette, a sun lounger to port side and a helm station to starboard. Sanlorenzo the Italian shipyard dedicated to the production of motor yacht and super yachts in fiberglass and metal from 23 to over seventy meters in length, has recently signed the sale of two 44-meter units. These new Sanlorenzo model are the 44 Alloy model, a superyacht and as the name suggests to be build in aluminum with fast displacement hull. This project sees again Sanlorenzo mix it with more designers and after the entrance of Officina Italiana design sees the famous Italian yacht builder enter into a first cooperation with the Zuccon International Project studio, featuring a series of innovative design solutions though maintaining the unmistakable, modern and elegant lines. The two 44 Alloy vessels are already under construction at the new imposing Sanlorenzo Superyacht shipyard in La Spezia and will be delivered to their owners in Spring 2020. Sundeck 38 Metri is at the moment the flagship project of the Italian, Pesaro based boat builder. Taking inspiration from explorer and passage makers, heavy duty vessels, this modern super yacht has been drawn to enjoy extended owner cruises whether for high luxury charter operation under the most demanding commercial ship registers. The Sundeck 38 Metri is based on displacement, all weather, steel hull coupled with a lighter aluminum superstructure. The inside layout and decoration can be fully chosen by the owner, although the Sundeck has already developed some interesting ideas, to be shared and implemented with the usual flexibility and client-oriented approach. The 38 Meters is a whole made in Italy, global cruiser, which is built into the most authoritative premises in Italy, involving some of the experienced professionals of super-yachts design and engineering. Lagoon presents the new Seventy 8, the new flagship which makes a grand entrance as second and largest model of the French catamaran special builder. This power catamaran slash yacht, is just short of 24 metres in length and is designed by VPLP naval architecture, Patrick Le Quément exterior lines, and Nauta for the interior. The Lagoon Seventy 8 signals an important entrance for its size for the production catamaran builder where luxury and comfort are the watchwords. Her silhouette, with timeless elegance, and the harmonious lines of her coach roof go together with large volumes to create a universe free of compromise, in which space is a true luxury. But the Lagoon Seventy 8 is much more then this with customization being key element of this new Power Catamaran model, with four layout choices for the flybridge, six for the lower deck with three, four or five cabins available. 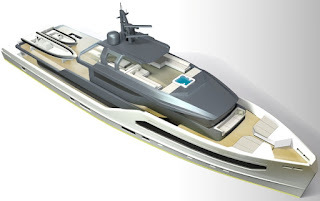 The project of this new Couach Mediterranean line takes us back to 2012 when the French yacht builder who since the nineties has mostly concentrated its resources for yachts above fifteen meters presented the project of the 1300 S Hornet, a fast cabin center console which never materialized into production. Now Couach returns to try its fortunes in the medium sizes with an entry level range called Mediterranean which will offers six models from eleven to nineteen meters, two of which S outboard units. The Couach 1300 Mediterranean will be the entrance into the inboard powered units. The Coucah 1300 Mediterranean will offer a lower deck fully dedicated to two spacious cabins, with living, galley and dining all located on the half hard top covered main deck. Power options are not yet announced but the design of the interior plans do show stern dive propulsion. The French designed and Polish build Med Yacht continue to expand, and after ten units launched of the 48 and following this with the Evo model in 2016, present a totally new 52 model. 45 centimeters wider and ninety centimeters longer the Med Yacht 52 continues where the 48 left and presents itself as a walk around sport yacht with a luxurious interior layout offering two large cabins; owners room at midships, and guest forward. Med Yacht also offers an alternative three cabin layout for the 52. The Med Yacht 52 is also very flexible to what concerns engine choices with standard power starting from twin Volvo 435hp, and going up to 725hp options. Propulsion is Volvo IPS pod propulsion. For 2018 Sessa is taking the challenge to the market by renovating some of its most popular models to latest style generation. The first to make such an update is the C38 which when launched in 2009 was one of Sessa's most successful models, and in its size also one with the best layout and design. Customers wanted a stylish low profile hardtop in an eleven meter sport cruiser with a single level main deck, and they got both. For 2018 the Sessa C38 keeps its main attributes of design and style but adds full view large hull windows to cater for more natural light and views on the lower cabin deck. For the remaining this new generation Sessa C38 keeps the practical design; featuring two cabins, an L-shaped galley, and L-shaped saloon making it a popular practical sport cruiser in its size. Power for the Sessa C38 comes from twin Volvo 300hp engines which give a top speed of 36 knots. Yachting Developments is proud to have launched their latest superyacht the 39.5m Sportsfisher Hull 1015. The yacht left Yachting Developments Hobsonville shed on a sunny day in Auckland, New Zealand, on 22 November 2017 before safely launching at high tide on 23 November. This impressive yacht is the world’s largest all-carbon sportsfisher and is on a scale unseen before for this style of yacht. Built for a highly experienced owner, who is a passionate fisherman, Hull 1015 combines luxury styling with exceptional performance capabilities and speed and an impressive all- inclusive fishing setup that will allow her to undertake extended fishing trips. Hull 1015’s naval architecture and exterior design is by Michael Peters Yacht Design, with a custom interior by the owners together with Yachting Developments and Naylor Booth Associates. Interior work, structural engineering and design is the work of the specialist team at Yachting Developments. The owner of Hull 1015 approached Yachting Developments after seeing their work on their 2012 27.4m sportsfisher build Satu and expertise in carbon construction, and with a longstanding appreciation for the quality of New Zealand shipyards. Hull 1015 spans four decks, with accommodation for ten guests; a large master suite, VIP, double and twin with Pullmans and six crew. She features a contemporary classic styled interior that has been tailored to family living. Plentiful on-board spaces include the large main saloon and adjoining galley on the main deck, leading out to the mezzanine cockpit, the bridge saloon and helm with the connecting aft bridge deck, and the flybridge. Guest accommodation is located on the lower deck, with the master cabin midships, VIP forward, a double to port and a twin with two Pullmans to starboard. Other spaces include a games room on the lower deck. Hull 1015’s two Smuggler tenders are stored on the forward deck when not in use, with a crane for easy launching. The yacht boasts exceptional seagoing qualities, and carries a VEEM gyro stabilizer, that will allow her to venture out in all conditions. With Hull 1015 now in the water, completion work is underway ahead of the owner taking delivery in December 2017. 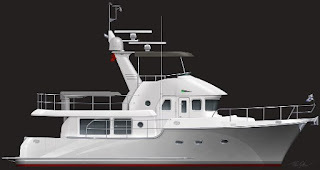 A new website for Viareggio, Italian company Benetti Sail Division founded in 1981 and today building Sports Cruisers, Sport Yachts with planning shaped hulls, and Super Yachts in semi planning and displacement hulls of aluminium, fiberglass, and steel material. Benetti Sail Division was originally founded in 1978 as the motorized sailing boats and yachts subsidiary of the famous Fratelli Benetti shipyards. The company became a totally independent enterprise in 1981, Benetti Sail Division with Riccardo Benetti taking the leadership. In the mid eighties the company specializes itself in restoring old Benetti yachts, and in the same decade the company stops building sailing boats. In the nineties Benetti Sail Division starts building yachts with fiberglass and later on moves on to build in steel and alloy material. In 2015 Benetti Sail Division started a cooperation with Shanghai Shipyard headed by Chinese entrepreneur Mr.Bruce Lee. Currently Benetti Sail Divsion offers a total of thirteen projects from 13 up to 60 meters divided in six different lines; BWA, World Traveller, BenShip, Round Stern, Classic, and One Off. Benetti Sail Division new web site is available in English, Russian, and Chinese language and takes you around with the following buttons; Home, Yachts, News and Events, and Contacts. November 30 saw the launch in Viareggio of the first Benetti Delfino 95, the first unit in the new Class displacement line created for owners looking for extreme comfort, maximum live-ability and the peerless quality standards typical of Benetti yachts. After the success of the Delfino 93, fourteen units sold to date, the Italian super yacht builder decided to embark on a new project featuring spaces that flow into each other and an interior layout reminiscent of larger-sized yachts. In terms of its design, this is a yacht built to amaze with the volumes it offers: despite a length overall of 28.95 meters and a tonnage of less than 200 tonnes allowing to an expert owner to pilot the yacht without the help of a captain, it has remarkably spacious cabins and can accommodate five crew members. On the style front, there has been concerted effort to translate all functional elements into decorative features, as well as to develop a light design that is both unique and innovative, drawing on the collaboration of UK-based design firm Aqualuce. The interiors are furnished in a modern style, with warm colors and moods: the main wood variety used is Canaletto walnut selected without flaming, interspersed with printed leather panels. The flooring in communal areas is parquet, while carpet has been used in the cabins. The Eramosa marble chosen for the yacht is cut in two different directions, with and across the veining, which changes its pattern. The Lower Deck is dedicated to guests, with four double cabins, including two intercommunicating VIP suites (through a big sliding door) with double beds and two twin-bed cabins. Each cabin has its own bathroom and the crew quarters can accommodate five members. The Main Deck is all on one level and features regular settings and shapes, allowing the spaces to be personalized as desired. The wide-body owner’s cabin is particularly roomy, with a width of almost seven meters, and also has a separate wardrobe area, designed as a special request by the owner, while the bathroom is fitted with a big shower compartment. The main lounge stands out for the two large glazed surfaces on either side that run the entire length of this setting, while the sliding door in the stern provides a remarkable sense of continuity between indoor and outdoor areas. The innovative positioning of the entire command station on the top level allows the service area to be concentrated on a single deck, making it easier and more practical for crew members to perform their work and delivering more privacy for the owner and their guests. The galley is very spacious in terms both of floor surface and work top space, while the laundry area has been positioned in the center of the boat. The Upper Deck features a big rest and relaxation zone, a classic sun lounging area, the helm station and, behind it, a dining area with opening roof and mood lighting for the evening, while the stern area contains an open air living area of unprecedented size. The large teak deck can be furnished according to the owner’s tastes and needs. The life rafts have been incorporated into the superstructure, so they are in no way detrimental to the elegance of the exterior lines. In an important innovation for boats this size, there is also a Sun Deck with two sofas, one of them reserved for the outdoor helm station, in order to offer guests the chance to enjoy the view during navigation, as well as providing an extra helm station, which is particularly useful when maneuvering the yacht because of its height above water level. The garage can accommodate a tender up to 4.40 meters in length and the yacht is fitted with two 1000hp Man engines, driving it to a top speed of 13.5 knots. Midnight Express present its most important project model to date, that for the 60 Pied-A-Mer, what the USA boat builder calls the center console game changer. This 60 Pied-A-Mer will increase Midnight Express size offer by seventeen feet from its current largest 43 Open model, and also be the first inboard offered boat of the Miami located boat builder. With a four and a half meter beam, the 60 Pied-A-Mer will be available with inboard or outboard power options, and a massive cockpit for the ultimate weekend boat. The interior will offer twin master cabins this available to customize with owner finishes and layout. The 60 Pied-A-Mer can be customized with a range of performance and luxury options. Standard power is for quadruple Seven Marine 627hp outboard giving performance over sixty knots, with a twin diesel option and surface drive option available this delivering top speeds over eighty knots with the larger set up. Flexibility will also exist in fuel capacity with the standard being for a capacity of 2649 liters and optional of 3785 liters being available. Foutaine Pajot presents its latest release the MY 44 a luxury power catamaran featuring matchless spaces for a thirteen meter. The new Fountaine Pajot 44 MY was designed by Daniel Andrieu hull and naval architecture, with exterior and lines coming by Pierangelo Andreani. The 44 MY boasts stylish lines and unique living spaces offering an incredible amount of light thanks to the large glazing on the hull. This new power catamaran has comfortable relaxation and reception spaces worthy of a second home. The enormous flybridge is designed with a sunbathing lounge, a galley and a real terrace or pool overlooking the sea. Inside a saloon, a large open area with a terrace, spacious lounge and galley open directly onto the cockpit, connecting inside with outside. The lower deck features three cabins which present themselves with two magnificent rooms starboard for your guests and VIPs and the owners room to port side. Each of the rooms has a sea view and an ensuite bathroom, to which an additional private forward cabin can be added on option. The Foutaine Pajot MY 44 has been studied to deliver excellent seaworthiness and is equipped with standard Volvo 260hp diesel engines with IPS pod drive propulsion. Engine options can go up to twin Volvo 435hp units. 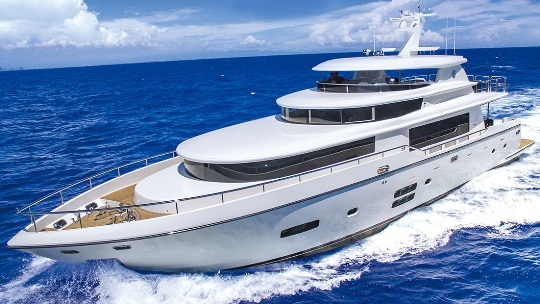 Nordhavn announce the new 475 which will take the place of the 43 model. This new design is based on the N43 hull so it’s still easily controllable while providing a lot more interior and exterior space. The interior of the Nordhavn 475 offer two spacious cabins sleeping five, with an owners cabin located at midships. The 475 will also feature a captains berth by pilot house. The main deck will offer a living area wit an open style galley. The raised pilot house is four steps up from the saloon, and in usual Nordhavn offers a layout worthy of a small ship with the distinctive Portuguese bridge and two exits doors to each side. Its extended cockpit and lengthened deck provides a streamlined sleek look that’s becoming the signature of modern Nordhavns. The first Nordavn 475 is expected to launch in 2018 and the first unit has already been sold. Canelli is an exciting fresh boat builder located in Naples which came out with a new sport cruiser model named the 39 Revolutio Cocktail. The first and new Canelli 39 Revolution is an innovative sport cruiser both in looks and concept which can be catered to various uses from that of a day boat, to a maxi tender, or a cruising boat for weekend trips. Down below and in the accommodation area the Canelli 39 Revolutio Cocktail offers a two plus two cabin arrangement sleeping four persons. The cabin area also offers a galley and shower head to starboard. Power option for the Canelli 39 Revolutio start from twin Volvo petrol gas of 270hp and go up to 435hp diesel engines with IPS pod propulsion. Otam presents the Custom Range 115 a demonstration of the will and ability of the Italian yard to propose super yachts with ever changing aesthetics. 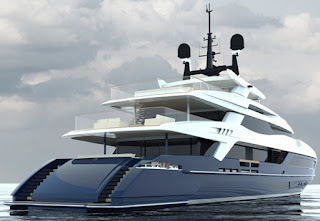 With sleek modern lines this new concept designed by Niccolò Pasquini and Alessio Riccobaldi from R+P Architecture closely follows the guidelines requested by a potential buyer, who has requested styling diametrically opposed to the classic lines of the 35 meter Gypsy, launched in 2016, the first unit in the Otam Custom Range, which was awarded some of the world's most prestigious awards: the 'Showboat Design Award' and 'The World Superyacht Award'. So, compared to Gypsy, here we have a more classic main deck layout, characterized by a fifty plus square meter zone completely dedicated to the owner, where he can decide himself how to use the impressive available space in line with Otams Custom Range philosophy that allows for limitless personalization possibilities. In this first proposal, the day area of the main deck includes a large lounge, a dining area, a day toilet and a spacious kitchen. The seventy squared meters of space on the lower deck is completely dedicated to the guest's quarters, featuring four fully equipped VIP cabins. The fifty square meters of crew space is worthy of note and includes three double cabins, a spacious dinette and the laundry. This gives crew the maximum in comfort with separate access to maximize guest privacy. Looking aft, choice is the key for the garage and the beach club. The owner can choose between a classic garage, or a garage with a lateral opening to host a larger tender. With the former, the beach club features a platform with easy and safe access to the water for the guests. If the owner chooses the garage with a lateral opening, the total area dedicated to the beach club is even larger with even more possibilities for customization: diving area, bar, children's playroom, and gym, all in accordance with the owner desires. To conclude the panorama of options for the lower deck, as always the Italian yard has dedicated special attention to the engine room, assuring ample space and a functional layout to provide the best possible access to all machinery for obvious reasons of safety and maintenance. Returning to the upper deck, the concept of customization is clearly illustrated by the possibility to use the exterior part of the deck to host either an entertainment area or a seven meter long tender with it's own launching crane. In the yard's first layout proposal, the noteworthy In and Out dining area is surrounded by full height windows that never interrupt contact with the sea and the surrounding environment. The upper deck salon can also be completely personalized according to the desires of the owner. This deck is also host to the bridge that directly connects to the captain's quarters. The thirty square meters of fore-deck area are dedicated to sunbathing, with the possibility to create another dining area sheltered from prying eyes, thanks to the height of the bulwarks. The fully functional forward part of the deck is dedicated to docking and anchoring gear and equipped with two large storage compartments. The layout of the fifty plus square meters of sun deck is at the complete discretion of the owner: in the yard's first proposal, a jacuzzi is located at the bow and surrounded by two large sunbathing areas with two fore and aft L-shaped settees, a bar zone and another dining area sheltered by a hardtop.